I know there's many of you out there at this time watching the E3 2017 show and drooling at many of the latest games, but for some of us going back in time and re-playing some old favourites will do just fine. So now we look towards the recent addition to appear on The Company.PL's website ' Lords of Chaos ', which was first released by Blade Software in 1990 and appeared on the Amstrad CPC, Atari ST, Commodore 64, Amiga and ZX Spectrum! Released as the sequel to Chaos and ancestor of the famous X-COM series of games, you play as a Wizard in either single player mode or against up four players in multiplayer. You must design your own wizard and use your spells with varying effects against other wizards or creatures as long as possible to reach the portal, which appears after a certain amount of turns. 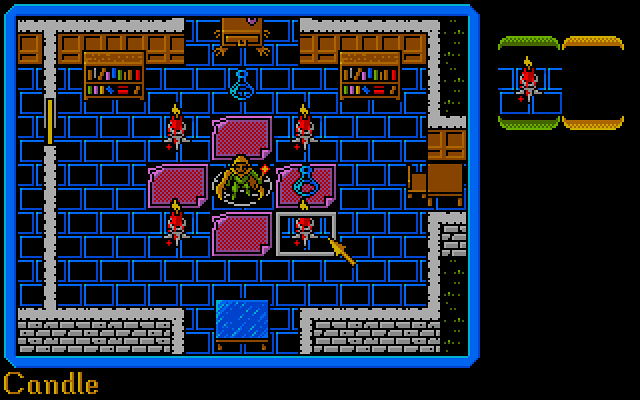 Points are then awarded for each player's wizard reaching the portal, for holding items of treasure, or for enemy creatures killed during the level. Certainly a lot to this game that's well worth experiencing, and with one such player saying on the LemonAmiga website " This game was my reason to live for many years it is absolutely one of the best commode/amiga games of all times ", you can't go wrong!